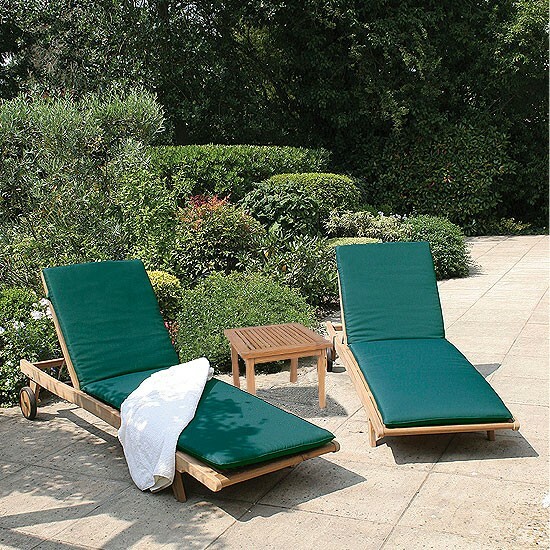 This beautiful lounging set is the perfect way to spend time on the terrace soaking up the sun. 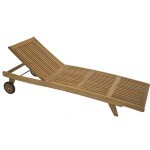 The set consists of two very stylish Teak Sun Loungers and a small but really useful side table. 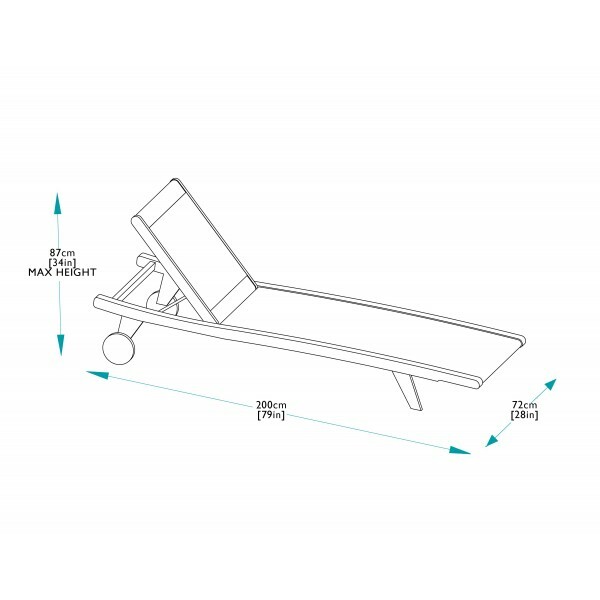 The Sun Loungers are adjustable from an upright to a flat position, and can be easily moved around on the strong wheels. 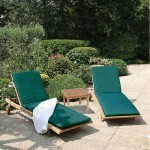 For added comfort, select the optional cushions in Green or Ecru. 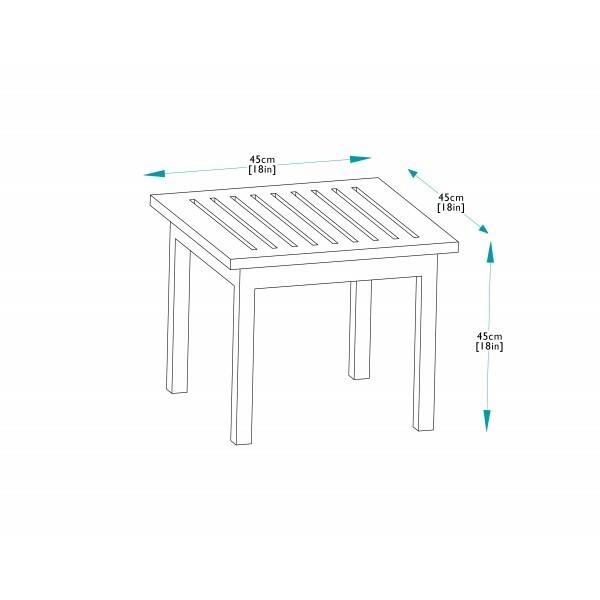 Every piece is crafted with care and finished to the highest standards. High quality Teak is used in the manufacture of this furniture. 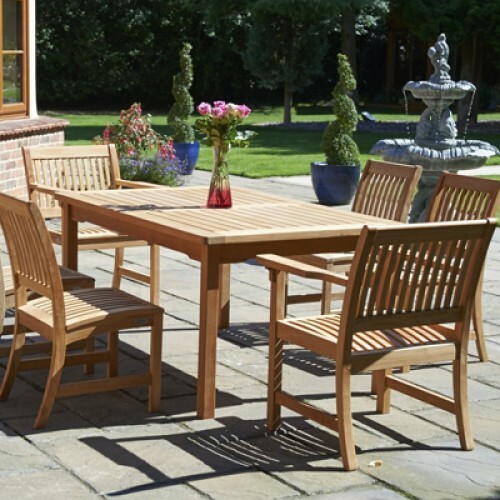 Teak is the premier timber for outdoor furniture and combines its lovely appearance with a strength and durability that is unequalled by any other timber. "I would like to thank and praise all the staff in customer service and parts department for their exceptionally quick and professional service. 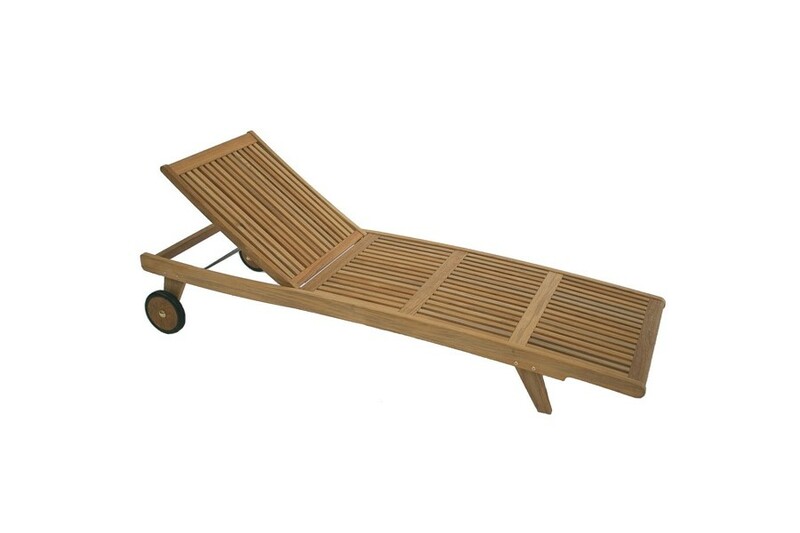 I enquired on some spare parts for a lounger I had required and could not be more pleased with the helpfulness of staff to source and supply me with said parts. Once again thanks . Highly recommend. "